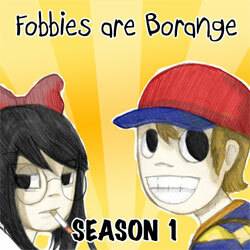 A collaborative effort between Stephen Georg, Jami Carignan, Jane Tovar and Mari M, “Fobbies are Borange” (or FaB) was a segment on Jami’s online radio show (hosted by Starmen.net) where EarthBound came to life, live (the episodes were performed live on the show). The show ran from September 2007 to October 2008. It followed the adventures of Ness as he traveled through the game, completely rewritten to give the protagonists more character. FaB is considered one of the greatest video game fanwork endeavors of all time, so check it out! RECAP EPISODE 1: It Won’t Change Your Life (A look back at the highlights of Episodes 1 through 12). RECAP EPISODE 2: I Suppose It Really Will Change Your Life (A look back at the highlights of Episodes 13 through 24). Episode 38: Gentlemen! Behold! 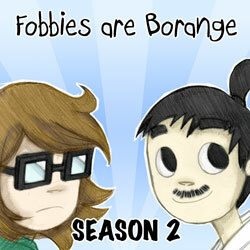 We Are The Fobbies! Episode 39: King, It’s Really You! 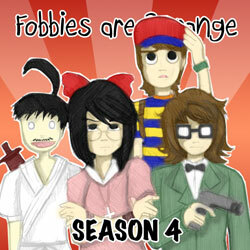 LanC is a radio play of Mother 1, but unlike FaB which is scripted, LanC is completely improvised. To make things even better (worse? ), Stephen (Ninten) has never played past the first visit to Magicant, so he has no idea what’s going on. This show was also performed live. Episode 2: Oh Crap, Grandpa! Episode 3: It’s Not Christmas, Loid! Mother 3 thing. Click above. FaB Wiki - Everything you could ever want to know! Episode Scripts - See what the cast was reading! Original Forum Topic - 100s of pages. Absolute must-read. Fan Art Gallery - Amazing art from the fans! FaB on Facebook - "Like" our page and show support! LanC on Facebook - Loids needs love too! 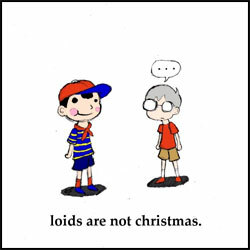 Ninten Speaks - A hilarious spinoff featuring Ninten! Tree From My Youth - A now canceled series following Mother 3. FaB in Earthbound - An incredible fanwork that puts FaB in EB! 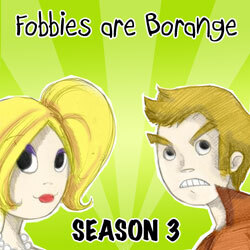 FaB Episode 1 Video Comic - Speaks for itself! Where Are They Now? - Following the team, years later!